South African rising star Sifiso Mzobe has already picked up the Sunday Times Fiction Prize, as well as the Wole Soyinka Prize for Literature in Africa, both awards secured by his debut novel, Young Blood. The story follows Sipho growing up in the city of Durban, the place where Mzobe himself was born and brought up. Sipho is seventeen, a young man becoming an adult and a school drop-out desperate to make money. He helps his father to fix cars and does odd jobs but becomes frustrated that his life doesn’t live up to his aspirations, particularly when there are other, easier paths to cars, designer clothes and booze. As a life of crime beckons, Sipho gets in deep with more and more dangerous people until drugs, violence and prison become an increasingly real prospect. Mzobe’s CV includes time as a reporter for a community newspaper in a township very like the one he depicts in Young Blood. He worked on the book for two years, using his observations of the way that, for many young men in South African townships, crime is one of the most rewarding life decisions they can make, giving them a real shot at wealth and privilege. It almost doesn’t feel right to call Young Blood a crime novel as that can imply a single incident that sparks a story, the resolution of which brings the story to a close. In Young Blood crime is more of an atmosphere that hangs over everything - it's a lifestyle rather than a life-defining moment. Mzobe combines first-hand experience with bare-knuckle storytelling to create a novel that is gritty, fantastically well informed and almost too real to bear. 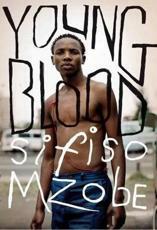 Young Blood was in the running for our 2013 First Book Award.